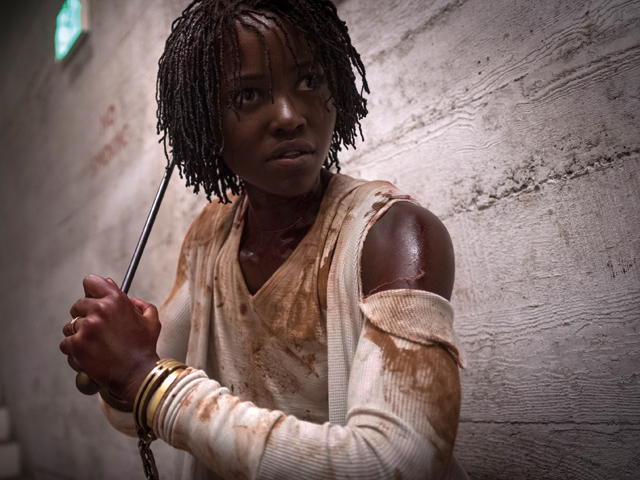 Lupita Nyong'o made her feature debut in Steve McQueen's Academy Award®-winning film 12 Years a Slave alongside Chiwetel Ejiofor, Michael Fassbender and Brad Pitt. For her portrayal as Patsey, Nyong'o received the Academy Award® in the category of Best Supporting Actress as well as multiple accolades including the Screen Actors Guild Award, the Critics' Choice Award, the Independent Spirit Award, NAACP Award and the 2013 Hollywood Film Awards New Hollywood Award. Nyong'o most recently starred as Nakia in Marvel's Oscar®-nominated film, Black Panther, which has broken numerous box-office records since it was released in February 2018. Ryan Coogler directed the film, which co-starred Chadwick Boseman, Michael B. Jordan, Daniel Kaluuya, Letitia Wright and Danai Gurira. The cast won the SAG Award for Best Ensemble and Nyong'o's performance earned her a nomination for an NAACP Award for Outstanding Supporting Actress in a Motion Picture. Upcoming, Nyong'o stars as Miss Caroline in the Australian zombie comedy-horror crossover Little Monsters opposite Josh Gad and Alexander England. Abe Forsythe writes and directs the film, which premiered at Sundance in January 2019 and will be released later this year by Hulu and NEON. Nyong'o will appear in the feature film Born a Crime, the biopic based on Trevor Noah's New York Times best-selling book of the same name. Nyong'o will play Patricia Noah, Trevor's mother. The film will be produced by Noah through his Angel Ark Productions, along with Mainstay Entertainment's Norman Aladjem, Derek Van Pelt, Sanaz Yamin and Nyong'o. Along with Jessica Chastain, Marion Cotillard, Penélope Cruz and Fan Bingbing, Nyong'o is set to star in 355, a female-driven spy-thriller produced by Chastain's production company, Freckle Films. The film is a secret-agent drama, which promises a globe-trotting adventure, with the five women playing spies from international agencies who come together and overcome suspicions and conflicts as they battle to stop a global organization from thrusting the world into chaos. Universal purchased the film out of Cannes. Nyong'o will also star opposite Viola Davis in TriStar Pictures' The Woman King. Inspired by true events that took place in the Kingdom of Dahomey, one of the most powerful states of Africa in the 18th and 19th centuries, the film tells the story of Nanisca (Davis), general of the all-female military unit known as the Amazons, and her daughter Nawi (Nyong'o), who together fought the French and neighboring tribes who violated their honor and enslaved their people. Nyong'o is set to produce and star in the on-screen adaptation of Chimamanda Ngozi Adichie's best-selling novel Americanah, the sweeping love story that spans three continents of Ifemelu and Obinze, two Nigerians who face the complexities of race and identity away from home and each other. Danai Gurira is set to write the miniseries. In 2016, Nyong'o starred in Mira Nair's Queen of Katwe, opposite David Oyelowo and Madina Nalwanga. Based on the best-selling book of the same name, the Disney film is an inspirational true story about Phiona Mutesi who overcomes abject poverty to become an international chess master. Her portrayal of Phiona's fierce yet tender mother, Harriet, earned her a nomination for an NAACP Award for Outstanding Supporting Actress in a Motion Picture. Also in 2016, Nyong'o lent her voice to Jon Favreau's The Jungle Book as Raksha, with Scarlett Johansson, Idris Elba, Bill Murray, Sir Ben Kingsley and Christopher Walken. Nyong'o earned a Tony nomination for her 2016 Broadway debut in Danai Gurira's play Eclipsed. It tells the story of five extraordinary women brought together by the upheaval of war in their homeland, Liberia. Prior to moving to Broadway, the play had a limited run at New York's The Public Theater. Eclipsed was nominated for a further four Tony Awards, including Best Play, and won in the category of Best Costume Design. In December 2015, Nyong'o starred in J.J. Abrams' Star Wars: The Force Awakens, alongside Harrison Ford, Daisy Ridley, John Boyega and Oscar Isaac. Nyong'o brought to life Maz Kanata, a motion-captured character. The film was released by Disney on December 18, 2015. She reprised this role in Star Wars: The Last Jedi, written and directed by Rian Johnson, which Disney released in December 2017. Nyong'o served as the creator, director, editor and producer of the award-winning feature-length documentary In My Genes. The documentary follows eight Kenyans who have one thing in common: they were born with albinism, a genetic condition that causes a lack of pigmentation. In many parts of the world, including Kenya, it is a condition that marginalizes, stigmatizes and even endangers those who have it. Though highly visible in a society that is predominantly black, the reality of living with albinism is invisible to most. Through her intimate portraits, Nyong'o enables viewers to see the subjects' challenges, humanity and everyday triumphs. In 2019, Simon & Schuster Books will publish Sulwe, Nyong'o's debut book. Colorism, or the preferential treatment of those with lighter skin, is an issue across the globe, and impacts children from a young age. Nyong'o herself has experienced the harmful effects of colorism and has spoken about how it hurt her self-image as a child. In Sulwe, an illustrated children's book, she candidly shares the consequences of growing up in a world that favors lighter skin, offering a healing story that will entertain children from all backgrounds while providing a story that helps them see beauty in themselves and others. Nyong'o graduated from the Yale School of Drama's acting program where her additional stage credits included playing Perdita in The Winter's Tale (Yale Repertory Theater), Sonya in Uncle Vanya, Katherine in The Taming of the Shrew as well as being in the original production of Michael Mitnick's Elijah. Nyong'o resides in New York.